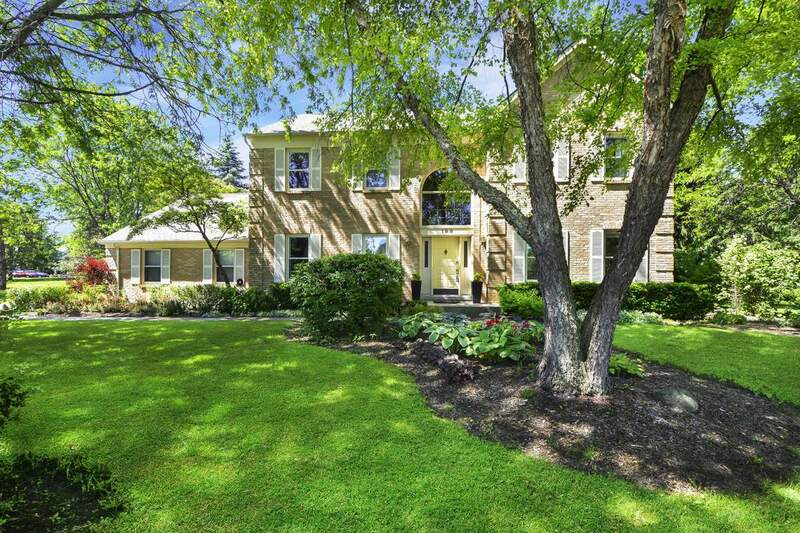 Expansive home in a beautiful cul-de-sac private setting in prestigious Hawthorn Woods. Great opportunity to own a spacious floor plan with stylish finishes throughout. Featuring 2-story foyer with parquet flooring leading to an oversized combined living & dining room with boastful windows & plush carpet. Stunning renovated gourmet kitchen has enormous breakfast bar, granite counters, SS appliances, custom backsplash, pantry-closet & eating area with bay window overlooking a beautiful luscious landscaped yard. Family room is adorned with beautiful built-ins, custom fireplace & has sliders to patio. Huge master suite has carpeted floors & French doors to an en-suite bath with dual sinks, jetted tub, separate shower & walk-in closet. Large laundry room with storage cabinets, sink & garage access. Full finished basement with rec room, play room, office, 5th bedroom & full bath. Enjoy lounging on your brick paver patio. Near Spencer Loomis grade school & a short drive to LZ high school.